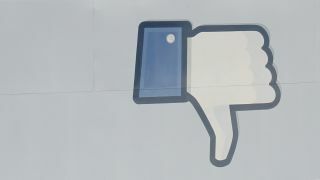 Facebook's dalliance with democracy has come to an end as low voter participation will see the site eliminate the user veto system and implement data sharing with Instagram. What may become the site's last governance policy vote ended today, with an overwhelming 88 percent of votes cast against changing the site's governing policies and instead maintaining the policies currently in place. However, a vote requires at least 30 percent of all Facebook users to participate in order to be a binding decision. With a little more than 668,000 votes cast, the outcome will simply fall under advisement, with Facebook able to freely change the policy despite the vote's outcome. The new policy changes would allow Facebook to share user data with other Facebook-owned sites, such as Instagram. This includes sharing data that would allow targeted ads to appear on Facebook based on a user's Instagram info, or vice versa when ads are inevitably put in place on the photo sharing service. The change would also do away with the site's veto policy to allow a user vote on site changes that received over 7,000 comments. The reason these particular policy changes were brought to a vote in the first place was because of the site's veto policy. Facebook will make an announcement tomorrow regarding its official decision, but there is little doubt that the proposed policy changes will shortly go into effect. It could be argued that the lack of participation in Facebook's policy vote is proof of the system's irrelevance, as a majority of users will not even realize the option is gone. However, that is little solace to the nearly 600,000 users who voted to keep the old policies and not share user data between affiliate sites. In Facebook's original proposal to change the site's veto policy, it said that new tools would be put in motion for users to contribute policy suggestions. It will be interesting to see how effective the new policies are for taking into account user feedback, and more importantly, whether any Facebook users actually care for a change.